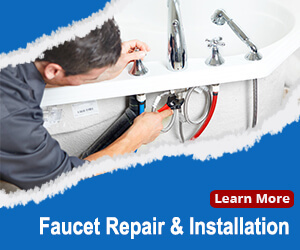 Are you looking for a truly professional local plumber for your fine home or business in Rancho Santa Fe, California? 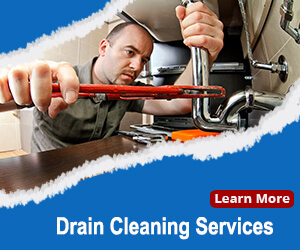 Call Blue Planet Drains and Plumbing for a quick response, 24/7. We’re proud to provide The Rancho Satan Fe’s 3,000 local residents and businesses with Eco-friendly plumbing services. From drain cleaning to slab leak repair, we do it all. 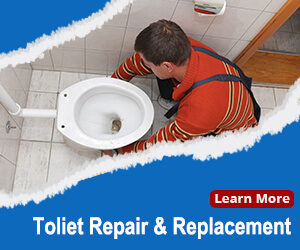 Our plumbers are experienced, licensed, uniformed and polite. We’re also specialists in electronic leak detection, using our state-of-the-art leak detection equipment we can pin point any leak and repair it. Blue Planet is licensed, bonded, and insured. We’re members of the Plumbing, Heating, and Cooling Contractors (PHCC) and the Better Business Bureau and are happy to provide references. Experience the difference professionalism makes in quality and customer service. One of our clean and attractive trucks will arrive accompanied by an well-trained, experienced, and polite plumber in an always-clean uniform. They will wear shoe covers, and cover your flooring wherever they’re working. When done with your plumbing, they will thoroughly clean up before leaving. We’ll even check back in with you later to be sure everything is to your liking. We’re ready 24/7 to provide emergency and non-emergency plumbing and drain services in Rancho Santa Fe. After our inspection we’ll discuss all repairs and alternatives with you in detail, and provide a full up-front estimate. In addition to our residential experience, our expertise include plumbing repairs and drain maintenance for commercial businesses like restaurants, office buildings, and retail. A clogged drain will disrupt anyone’s day. 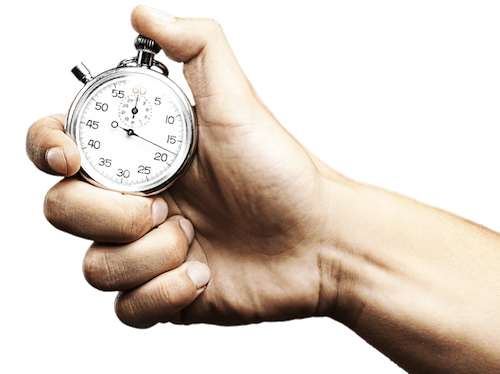 Blue Planet provides prompt drain cleaning, with response times typically less than an hour. We’re specialists, with in-pipe cameras to locate and determine the type of blockage. For problems further down the line our plumbers are also experts with all the equipment needed for sewer cleaning. For difficult clogs, our special in-truck hydro-jetting equipment will thoroughly clean your pipes and dramatically reduce the chances of a recurrence. That’s especially important for restaurants and other facilities with a commercial kitchen. Water leaks can occur hidden within walls or under the floor. Even a small leak with no major symptoms can lead to mold, water damage, and eventually structural damage. So call us at the first signs of moisture or an unexplained increase in water usage. 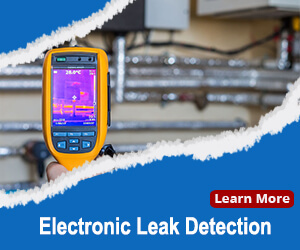 Our experts use the latest in electronic leak detection equipment — including electromagnetic, thermal imaging, and acoustic technologies — to pinpoint the location of the leak for the absolute minimum of tear-down. If a leak is under the floor slab repair can be an extensive undertaking. Depending on your situation we can provide a variety of slab leak repair solutions, including spot repair and re-routing to stop the leak and avoid future problems. Additional options include copper re-piping or the use of quieter PEX piping. You already know that this is one of best places in America to live, but you may not know some of the history that led to this. The area was originally Rancho San Dieguito, an 1841 Mexican land grant to Juan Maria Osuna. In 1906 most of this land was purchased by the famed Atchison, Topeka, & Santa Fe Railroad 1906 (hence the current name). Shortly thereafter, in 1917/18 the Santa Fe Land & Improvement Company constructed a dam to provide a dependable water supply and began a village plan. The company employed the architectural firm of Requa & Jackson, well known for their Spanish Colonial and Mediterranean Revival architectural style. Technically a “census-designated place” and not a city, The Covenant was registered as a California Historical Landmark for being the first master-planned community. 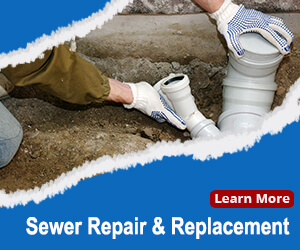 Whenever you need a local plumber in Rancho Santa Fe for drain cleaning, sewer cleaning, leak detection or just about any other plumbing need, give us a call we will be there on time every time. Blue Planet’s motto is ” In our planet you are the boss” We will go above and beyond for our customer’s satisfaction.